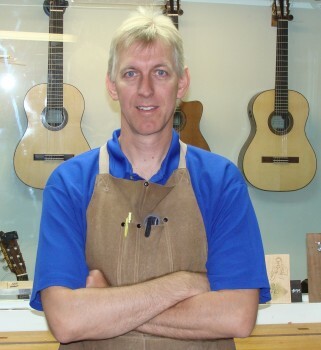 Robert O'Brien of O'Brien Guitars demonstrates two different methods of attaching binding to a fretboard of a guitar. In the first method, he uses Super T medium CA glue on the fretboard, then gets the binding in place and uses the backsplash of his workbench to hold it in place while he uses NCF Quick accelerator to speed up the cure. In the second method, he clamps the binding against the fretboard with binding tape and then uses pipettes with Hot Stuff Original CA glue to wick inside the seam and bond the two parts together.